How many times have you heard that popular refrain? Too many to count. However, when it comes to the job search process, many job seekers think that this advice only applies during the scheduled phone calls, interviews, and interactions with the hiring manager and your potential team. After all, isn’t the recruiter just the go-between, the person who arranges interviews and liaises between candidate and boss? Wrong. The recruiter is a stakeholder and is an integral part of the hiring process. To overlook or underestimate his or her influence is a big mistake. Every interaction with a potential employer should not only be professional but also should dictate that you are purposeful and thoughtful about everything you say. Whether it’s just a quick text through Canvas or a phone call to discuss salary expectation, choose your words wisely to ensure your own success. Here are six phrases to to a recruiter if you want a competitive job offer. You’re selling yourself and your skills short. You are talented, smart, and can contribute greatly. You appear uninformed. Recruiters want well-researched, highly engaged, informed candidates to apply for jobs. This statement makes you appear as though you haven’t thought out the decision to apply to the company or do not know how your career goals align with the objectives of the company. You are signaling that you will settle. Continuing with the dating analogy, job seekers who appear desperate won’t command the attention or best treatment. However, you should be prepared to and know how much you could earn given your skills, education, and location by using Glassdoor’s Know Your Worth personal salary calculator. Complaining about your last company is a big no-no. Barring some really unique circumstance, griping about your former boss, colleagues, or work environment can be detrimental to your interview process as well as your professional reputation. Instead of making such a blunt statement, critically evaluate how you have navigated challenges on the job. Share with the recruiter how you have coped and actually thrived in spite of less than ideal circumstances. Just remember, trash talking is a no-no. While there may be truth to this statement, save it for your friends over drinks. Do not share this with a recruiter. When asked for a list of recommendations, rarely will a recruiter counter your list with a comment like, “Why didn’t you include your last boss?” References and recommendations should come from people who can speak to your accomplishments, successes and positive work experiences. Glowing recommendations are a big part of putting your best foot forward. Depending on the size of the company, job applications can receive hundreds or thousands of resumes per position. And while recruiters try to respond to everyone, sometimes it’s harder than job seekers may think. That’s no reason to be curt with a recruiter or make a passive-aggressive comment like this. Use your time with a recruiter wisely by focusing on the role, the company, and your unique fit for both. 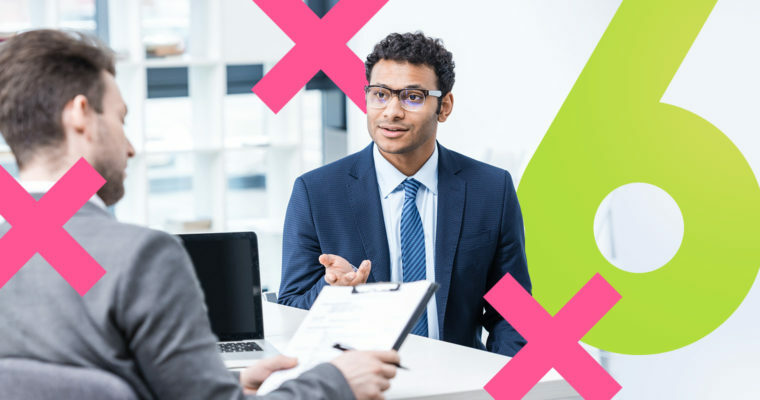 Don’t waste time or diminish your chances of a positive interview experience by making snarky comments.